"Another strong early effort in a relatively straight-ahead vein, especially for those looking to hear Smith with a variety of players outside his familiar trio format." "(The Sermon) proved, once and for all, that the organ is not a gimmick as a jazz instrument. If it were, it would be hard to sustain listener's interest for 20 minutes, taking up all of side one of the original LP. Regardless of whether he's soloing or comping behind his sidemen, Smith puts a lot of thought into his work." 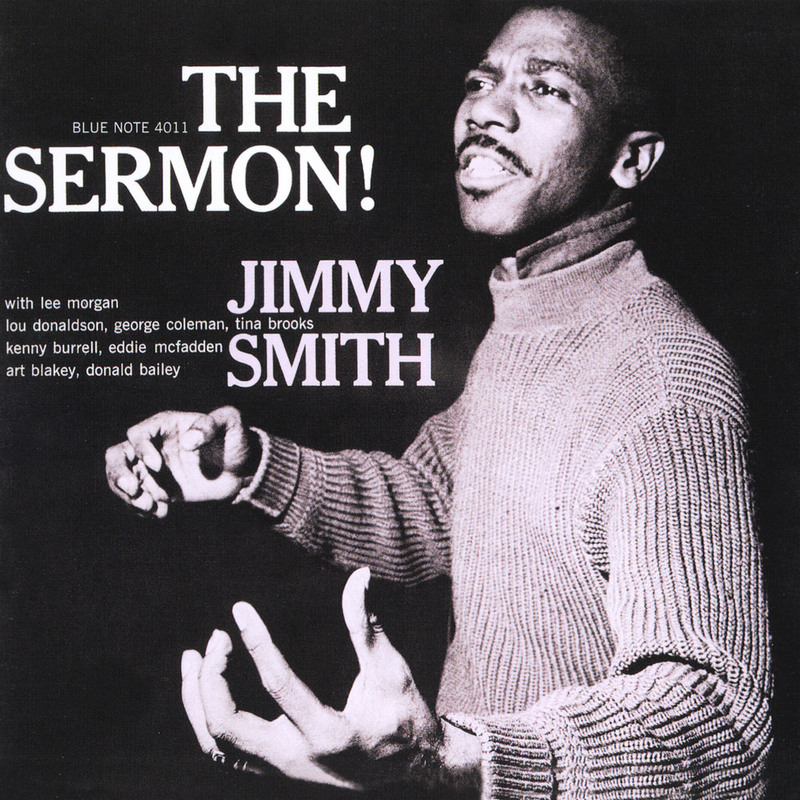 The Sermon is one of Jimmy Smith's classics which revolutionized the organ and popularized the instrument in a jazz context. Smith turns the organ into almost an ensemble itself. He plays walking bass lines and chordal accompaniment with his left hand, solos with his right hand. Smith fuses R&B, blues and gospel influences with bebop references and devices into a jubilant, attractive sound that many others immediately absorbed before following in his footsteps. These sessions, recorded in 1957 and 1958 with two different all-star bands, include trumpeter Lee Morgan, alto saxophonists George Coleman and Lou Donaldson, guitarists Kenny Burrell and Eddie McFadden and drummer Art Blakey.